If youre searching for a hotel in Woodbridge, VA that offers smartly designed guest rooms and superior service, look no further than Courtyard Potomac Mills Woodbridge. Find us off I-95, along Prince William Parkway near Potomac Mills Outlet Mall, and only 25 miles south of Washington, D.C. Government travelers appreciate our proximity to Quantico, Sentara Hospital, The Pentagon, and Ft. Belvoir. Corporate destinations include General Electric, Burlington, IBM, Bier Republic Works, North Face, and Microsoft. Leisure guests stay minutes from stellar dining, shopping, and numerous sports venues. At Courtyard Potomac Mills Woodbridge, we offer a variety of convenient amenities like free Wi-Fi, an on-site fitness center, indoor pool, and free parking. Our spacious guest rooms feature large work areas with desk level outlets, plush bedding, HDTVs with premium channels, and many other amenities. Were ready to offer guests the best in service, amenities and comfort as the leader of hotels in Woodbridge, VA. 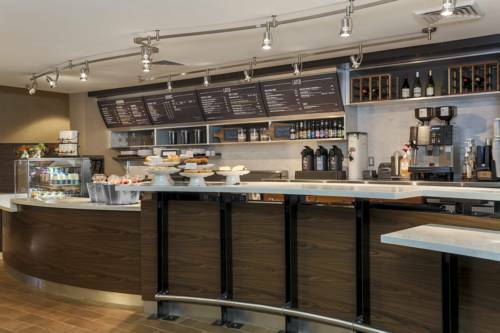 This Woodbridge, VA dining option offers healthy and fresh choices for breakfast including specialty drinks made with Starbucks coffee. In the evening, choose from many different dinner, beer and wine choices for a delicious end to the day. Self-described "crown jewel of firearms museums in the world" is loaded for bear, criminals, and storm troopers. Has the 1878 Gatling Gun that Clint Eastwood fired in The Outlaw Josie Wales. He looks as if he's been nearly-buried in sand by busy, bratty kids while asleep on the beach -- and he's not happy about it. Washington, DC: Scary Staircase From "The Exorcist"
Father Karras fell down head first in the 1973 horror film, but you can take one step at a time. The steps received a historical marker on Oct. 30, 2015.